Incredible offering! 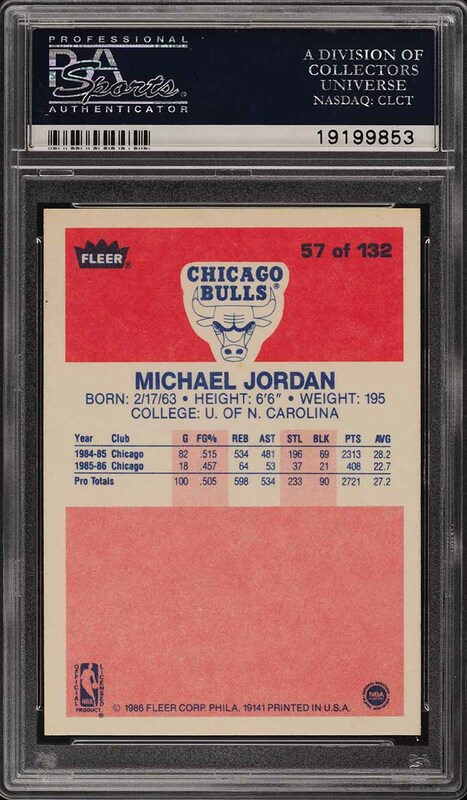 Universally regarded as the most important Michael Jordan rookie card ever produced and virtually impossible to locate in such high-grade with a PSA/DNA authenticated autograph present. In fact, of the 51 total copies assessed by PSA/DNA only three have reached the elite assessment. The offered masterpiece represents the finest example to hit the public market in many years and we're elated to offer it without reserve. Boasting pack fresh eye appeal with near perfect centering along with undeniable MINT corners and card stock. Boasts beautiful edges around with vivid color and precise clarity. The autograph is beautifully penned in blue ink and is perfectly centered on the card (rare for MJ autographs which often run off the right edge). 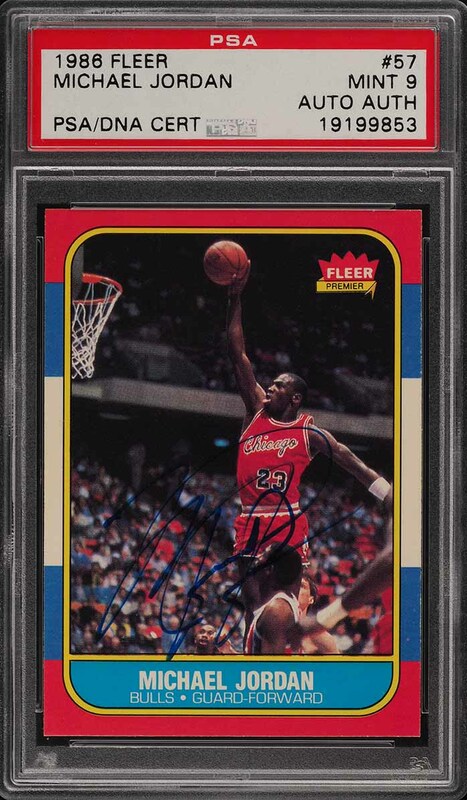 Do not under estimate the significance of this card as Michael Jordan simply doesn't sign his Fleer rookie card very often. 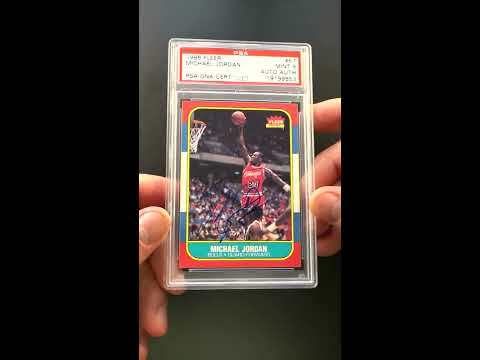 Michael Jordan almost single-handedly forced trading card investors to shift their dollars away from Baseball and into Basketball cards. His popularity soared on a global basis in the mid-to-late 1980's with almost everyone wanting to 'Be Like Mike'. With all due respect to Wilt Chamberlain, Bill Russell, Jerry West, Kareem Abdul-Jabbar and many others, Michael Jordan is considered the greatest Basketball player of all-time with his incredible stats and six NBA championship rings. In conclusion, this is an extraordinary offering which is only deserving of the finest investment portfolio. Set a reminder on your calendar as this card will end on eBay on the night of April 17th, 2019. Enjoy! One of nearly 15,000 cards, lots, and sets up for bid in our 4th Auction of 2019. Click on the link above to view the other PWCC auction lots. The PWCC Vault is now live! Open a PWCC Vault account and receive a custom Vault shipping address. Purchases shipped to the Vault receive free shipping and reflect Oregon's 0% sales tax rate.